Accept a contract, pick a ship and dash into space. Show your piloting skills in a broad variety of contract, freelance or boss missions. 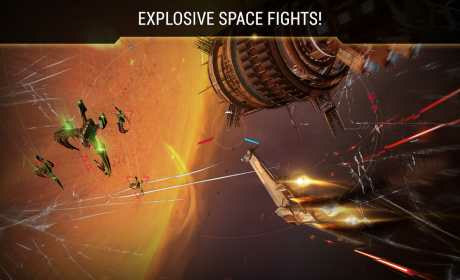 Fight unrelenting enemies in breath-taking outer space environments. 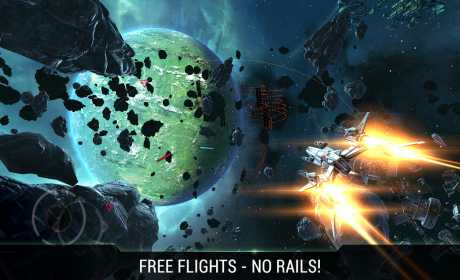 Dodge in-coming missiles with perfectly timed barrel rolls and dash through the ramifications of giant space stations. And once your shields are up again, strike back and give ‘em hell! 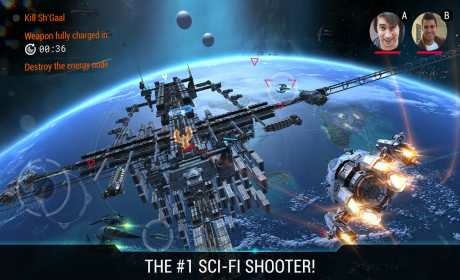 Galaxy on Fire 3 – Manticore puts an entire universe in your pocket. Hire your fellow players’ ships as wingmen and go after the galaxy’s most wanted criminals together. Remain unflinching as you advance further into the dark, pulsating heart of the Neox Sector! Follow the links below to reach out to the developers and talk to your fellow players. Use the official hashtag #gof3manticore in your social media posts.